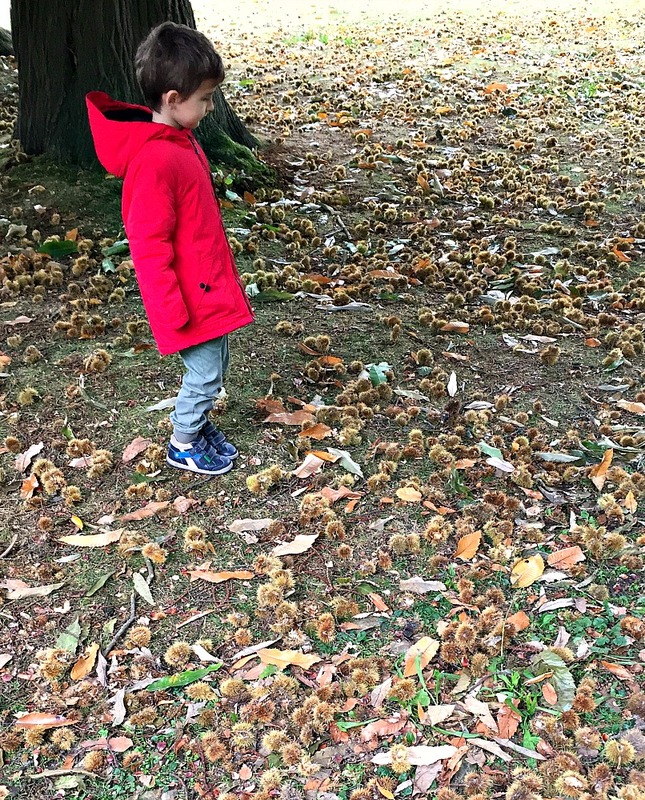 On a recent walk to one of our favourite Natural Trust Sites (UK) the kids came across lots of chestnuts lying on the floor, some half-open, others still tightly shut, some smashed and some in perfect condition. The kids were immediately interested and started asking a million questions. They also noticed other acorns and nuts lying on the floor and it was not long before the discussion moved onto why everything was on the floor and how is everything going to grow so close together and in the middle of all of that a strong gust of wind blew and some new ones flew off the tree and were carried in the wind. Seed dispersal in action right before our very eyes. For the rest of the walk and most of that day the discussions centered around how seeds move and why it is so important. When we got home my daughter was quick to point her brother in the direction of one of her favourite stories – The Tiny Seed by Eric Carle (I love how my daughter has developed this habit of searching for books when a new topic is being discussed, no prompting needed she just sits in front of her book-case and finds a book to read on the new topic). And luckily my youngest loves it when big sister reads him one of her books. 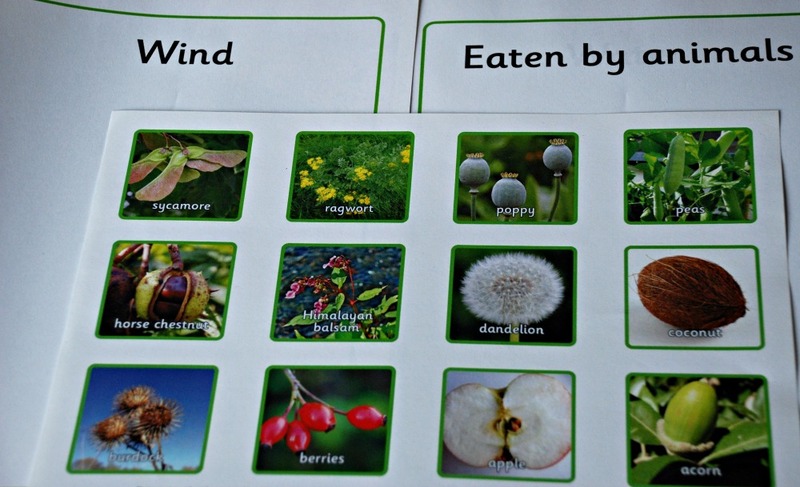 After a bit more reading and more questions we had a go at the seed dispersal sorting activity from Twinkl (part of their paid for platinum pages). And we could not resist trying a tissue art bird. We used a page from the British Bird Colouring Pages as a template (also part of the paid for platinum pages from Twinkl) and based the colours on the bird in The Tiny Seed Book. I love the way the tissue paper turned out. The more we are continuing with our home-education the more I am appreciating how much the kids learn just by being out and exploring nature. And although at times the constant questions can get exhausting I really appreciate the fact that both my kids are so open to learning and I know that all the questions all the time is just little minds thinking and processing. 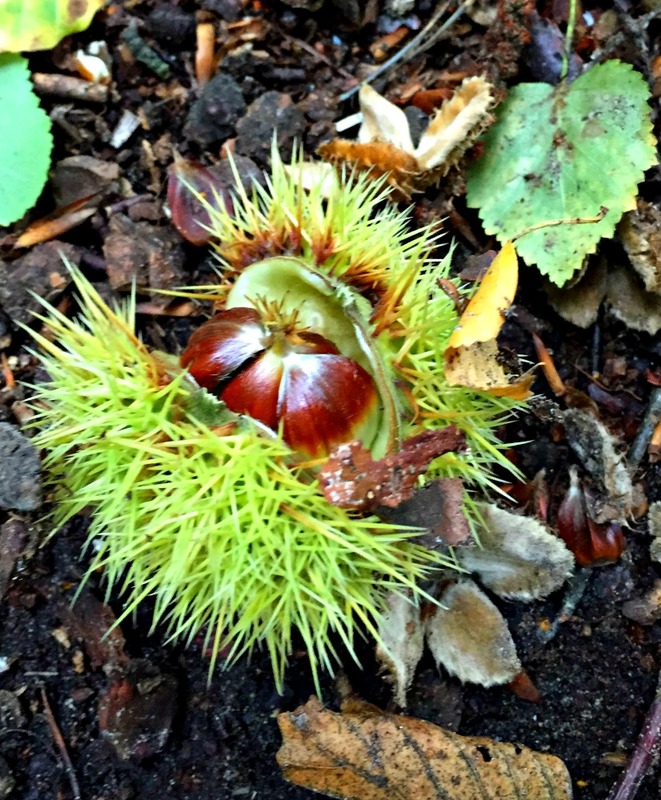 This entry was posted in Book Ideas and tagged children's book, children's craft, Eric Carle, home education, homeschooling, seed dispersal, The Tiny Seed. Bookmark the permalink. We have always included nature in our homeschool, too. Love the tissue paper birds. Thanks we love using tissue paper.